Jeremy has been tricked by Xana. At the end of a catastrophic mission, they find themselves without the Skid or the holoscan! They're at Xana's mercy, more vulnerable than ever. Jeremy finds himself incapable of coping faced with the current situation for the first time. Aelita must take matters into her own hands and handle both Xana...and Jeremy's blues at the same time. Today is Aelita's birthday. Odd is reading a bizarre poem he wrote for her out loud; a poem involving piranhas and chihuahuas among other things. Ulrich and William are cringing while being subjected to it when the birthday girl walks in. Odd pretends he wrote it for Samantha. Meanwhile, Jeremy and Yumi are setting up a surprise party in the lab when an alarm sounds. Jeremy picks up something trying to get into the Supercomputer. Thankfully the firewalls stop it from getting in, but the source was neither XANA nor Tyron. Jeremy finds it to be from a lost hub in the Digital Sea, poorly camouflaged. While inspecting the data packet received, the bespectacled boy notices that it is of unusual form: it was made by Franz Hopper. Or maybe even Anthea, wanting to wish her daughter a happy birthday? They can't be certain. Yumi calls the others - except for Aelita - so they can discuss it. 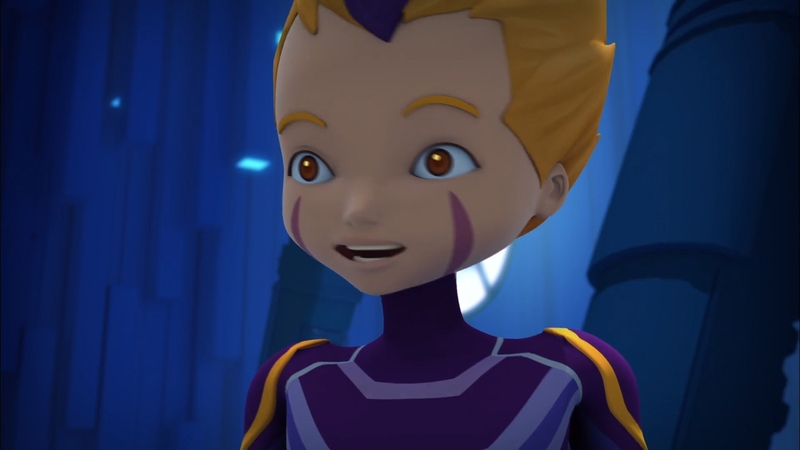 Aelita goes with the boys to the tunnel and William decides to stay behind to make sure she doesn't get to the lab, by pretending he needs help with his homework. 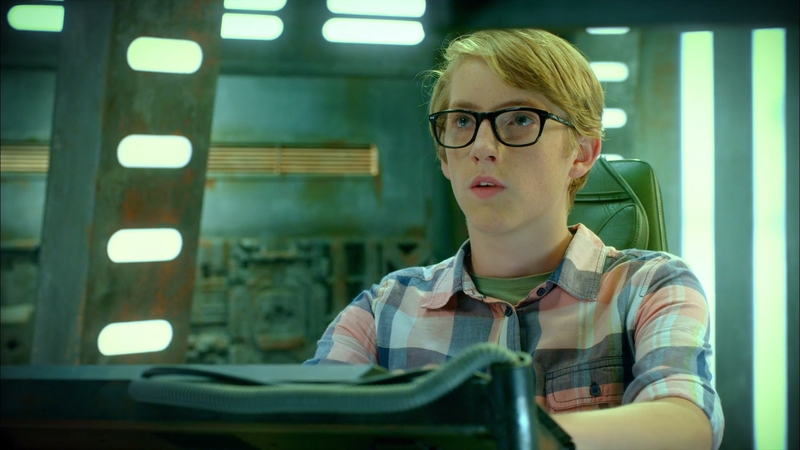 After being briefed, Ulrich suggests that they travel to the hub to find the source of the packet, and Jeremy agrees. He sends Yumi back to Aelita and William. In Sector 5, Odd talks about what a great present Anthea's message would be for Aelita, just a little better than his poem. He and Ulrich play scissors-paper-rock to see who will pilot the Skid, and Ulrich wins. Back at the school, Aelita is explaining William's maths homework to him. He pretends to act dumb about knowing what to do, but he is clearly struggling. Yumi joins them to try to help out, saying she doesn't know either and has to start back at the easier level of question. Odd and Ulrich are approaching the hub. It looks more imposing than usual, but Ulrich still pilots the Skid to the entrance. The Skid shoots a beam of light at it, and Jeremy begins to receive the data. But suddenly, a large tentacle shoots out of the hub and ensnares the Skid! Ulrich and Odd are shaken in their vessel as all the Skid's alarms go off. 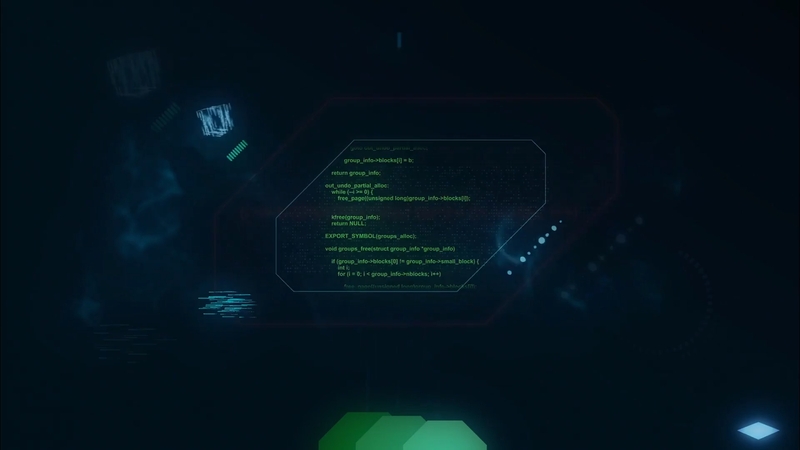 On Jeremy's end, all the lines of code on his screen begin to erase themselves, and the holoweb begins to flash. XANA's eye appears on the display...then nothing. The holoweb shuts down. XANA set a trap. The Digital Sea turns from blue to red as a group of Sharks appears and swims towards the Skid. Odd tries to free his Navskid and shoot them with torpedoes, but neither work. The Sharks circle around the Skid, still trapped in the pincer. The monsters take turns firing on the Skid and ramming it with their tails. Ulrich admits defeat, and Jeremy tries to devirtualise them both. But nothing happens! A Shark begins to bite Odd's Navskid. Jeremy tries again, but still nothing. He calls Yumi in distress and asks her to bring Aelita to the lab. Aelita reveals that she knew they were hiding something, and the three rush to the lab. Once there, Jeremy worriedly explains what's going on. Aelita sternly walks up to the keyboard and begins to type, despite Jeremy saying that he's tried everything. She hits the enter key...and the boys are devirtualised just in time. As their bodies completely disappear, the Skid shatters. Odd and Ulrich step out of the lift and are met with an extremely apologetic Jeremy. The Supercomputer is badly damaged: he can no longer be alerted to XANA's attacks nor activated towers. When Aelita asks what the mission was about, at first nobody dares to answer. Jeremy then tells her she will find out later, and leaves the lab. The gang meet up back at the school. Aelita knows everything. She isn't mad at Jeremy; XANA is ruthless, and has already used her mother to trap them before, and the important thing is that Odd and Ulrich are safe. Jeremy can't forgive himself for his mistake, but Aelita encourages him to go back and try to fix the damage. Back in the lab, Jeremy can't return the looks his friends are giving him. 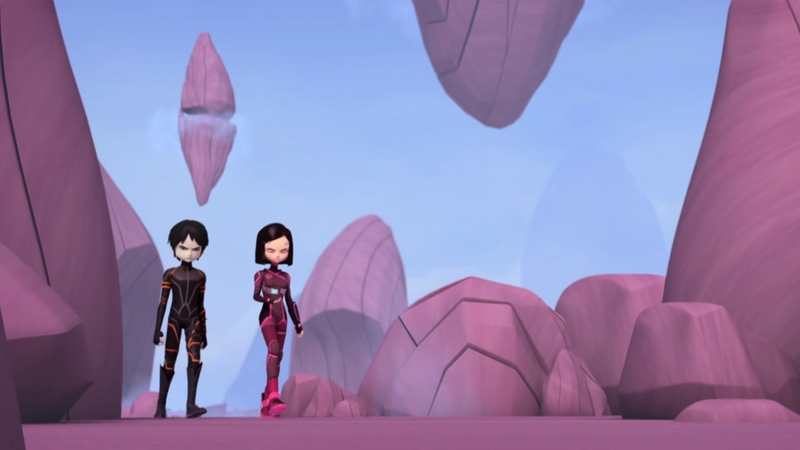 Aelita suggests they go wander around Lyoko to find the towers using Jeremy's miniscanners. Jeremy has nothing to say on the idea, so Aelita organises it herself. Odd and Ulrich can't return for 12 hours and William has English tutoring, but Yumi will go, arriving in the Mountains with a functioning miniscanner. Aelita takes Jeremy's seat at the terminal and begins work with the boy. She tells Jeremy to check the panels on the wall while she looks at the program. Jeremy removes the casing of one of the panels, and begins to remove a memory card. Aelita notices what he's doing and yells at him to stop, but it's too late...Yumi's Overwing dematerialises and sends her falling towards the Digital Sea. A moment of silence...then Yumi calls out to Aelita. She grabbed onto a rock just above the Digital Sea, but she begins to slip. Aelita's hand appears out of the fog and tries to grab Yumi's...but Yumi falls. Aelita immediately dives into the fog...and emerges again, trying to fly while carrying Yumi. They make it to the platform and call Jeremy to tell them they're ok, but there's no response. Yumi devirtualises her so she can keep working with Jeremy, but when she gets back, nobody is there. Before Aelita can go after him, Yumi tells her that there is an activated tower. She sends in William, who had just arrived. In science class Jeremy struggles to answer the question on the board. Odd tries to come to his defence but ends up being sent to the principal's office. Yumi and William arrive at the tower, guarded by Kankrelats. There's no spectre in sight for now, but they believe that probably won't last for long. The two get to work on the Kankrelats and destroy them easily...but suddenly each monster destroyed reforms and duplicates itself! Yumi is injured and William picks her up and carries her into a cave on a higher platform. The lab doors open and Aelita doesn't even bother to look, exclaiming how relieved she is to have Odd here...but when she turns, it's not Odd standing in the lift. It's Ms Hertz. Or rather, a spectre of Ms Hertz! Aelita dodges into the lift. The spectre grabs her arm, but Aelita closes the doors in its face, and it lets go. William and Yumi are stuck alone in the cave in the Mountain Sector. William peeks out of their hiding spot but is immediately fired at by the monsters. He tries to use Supersmoke to get closer, but as soon as he reforms he is shot by multiple lasers and forced to return to the cave. Odd arrives in the factory just as the lift doors open on Aelita, who falls into his arms. Aelita explains the situation briefly and that they need to get back to the lab, but Odd hears the lift moving. The two flee into the tunnels. Odd calls Ulrich who tells Jeremy what happened, but Jeremy doesn't react until he is told that Aelita was touched. He suddenly surges back to life, ordering Ulrich to take care of Odd and Aelita while he takes care of the rest. William and Yumi are arguing about the situation. They're not making any progress where they are now, but if they try to get to the tower they'll both be devirtualised and then nobody will be able to deactivate it for 12 hours. That's when Jeremy's voice sounds, saying that he agrees with William's idea of forcing their way through. Jeremy types madly on his keyboard, lines of code scrolling across the screen. His face suddenly lights up, he hits enter...the computer beeps and the holomap comes back to life! Jeremy strategises using the number of Kankrelats and their position, which he can now clearly see. William and Yumi take off into battle. 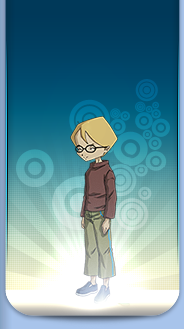 Yumi enters the Code Lyoko on the tower interface. The spectre explodes in a cloud of pixels. Everyone is back in Jeremy's room. Aelita connects her transwatch to his computer to see the damage: she has lost a lot of source codes, and XANA's power has climbed to 92%. Jeremy immediately gets to work on reprogramming the Skid, but it will take several days. Aelita looks at him proudly, noting that XANA isn't the only one who gained power today. Yumi is happy that they can finally celebrate Aelita's birthday, and with Odd's poem! Odd himself runs out the door after Aelita finds out that she was the piranha he was talking about...and arrives at the door to the principal's office, welcoming Ms Hertz with a large, innocent smile. - Attack: Try to hack the Supercomputer using a data packet created by Franz Hopper to lure the heroes out to a hub in the Digital Sea and transmit a virus to the Supercomputer that bugs up the holomap and superscan, and destroy the Skid in the process. - Odd's remaining amount of source codes is seen to be at 0%, however he should be at 4% because he regained some codes in episode 19 ("The Trap") and has not been touched by a spectre since then.